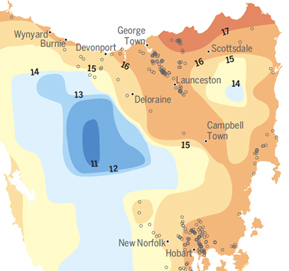 Overlaying vineyard locations on a map of Bureau of Meteorology climate data provides insights into the qualities of the wines. 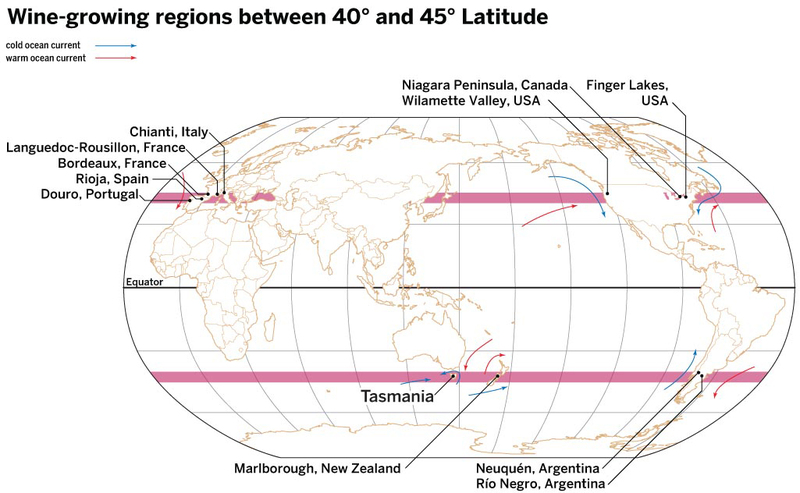 The source data from Australia’s national authority on weather and climate was processed by us to make it more legible and meaningful. 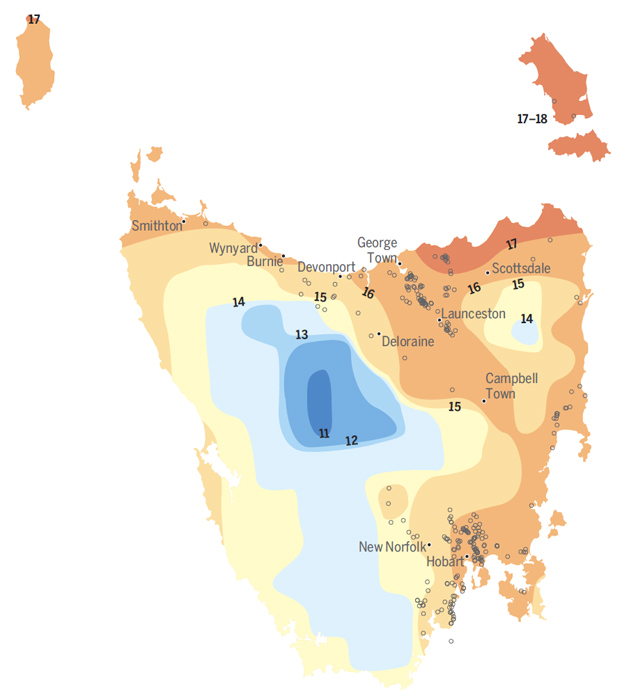 This map, which shows mean January temperatures, is a companion map to The Tasmania Wine & Gastronomy Map with Breweries and Distilleries. Vineyard sites were provided by VineFinders. The world map, below, also a companion map to The Tasmania Wine & Gastronomy Map with Breweries and Distilleries, makes the case for Tasmania’s standing on the world stage by revealing similarities with the climates of famous wine regions in Europe, North and South America and New Zealand.